Fuguecraft - Good start for polish music. 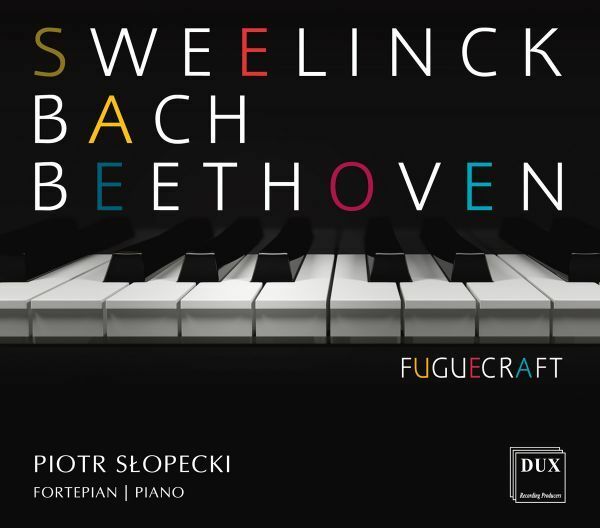 Piotr Słopecki - one of the most interesting Polish pianists, he accustomed us to his outstanding interpretations of Bach’s music (The Goldberg Variations or the cycle Die Kunst der Fuge). The present album is a kind of phonographic opening of this versatile artist - pianist, organist, composer and arranger, who is familiar with jazz - to other worlds of the music he practices. This is a very discrete opening, as the album dedicated to three outstanding composers only seemingly differs from the atmosphere of Bach’s works. The amazing Partita in E minor BWV 830 - the first Bach’s composition published during his life - is accompanied by the Fantasia No. 3 by Jan Pieterszoon Sweelinck, whose compositional technique was one of the inspirations for the works of the Master of the Fugue. Ludwig van Beethoven returns to the counterpoint technique in the Sonata No. 29 in B-flat major, Op. 106, which allows for discovery of this absolutely innovative work in the mainstream of the music directly referring to the output of the Cantor of Leipzig.